Call of Duty: Infinite Warfare's first multiplayer DLC is out today exclusively on the PlayStation 4. It contains four new multiplayer maps to battle on; including Dominion - a re-imagining of the Modern Warfare 2 fan-favorite Afghan. Neon, the “Z”-shaped digital city, Noir, Brooklyn at night, and Renaissance, the idyllic canals of Venice, Italy. Alongside of the competitive elements comes a new co-op zombie mode to go along with the existing Zombies in Spaceland co-op mode. The new mode is called Rave in the Red Woods and features comedic actor/director Kevin Smith (Clerks, Jay and Silent Bob) as one of the playable characters. If you're interested to see just what the mode contains, how Kevin Smith was involved, and just generally want to know if the DLC will be worth the money just for the co-op content, Activision will be hosting a live stream today. Tomorrow at 1PM PT, Kevin Smith joins Infinity Ward LIVE to talk #IWSabotage and his role in Rave in the Redwoods! 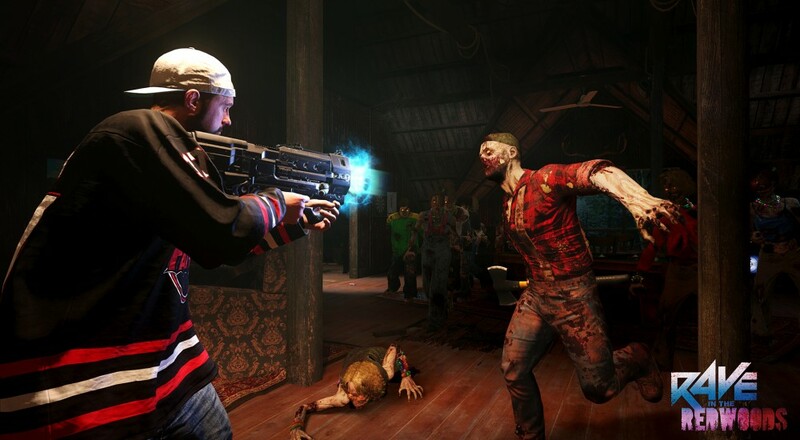 While Zombies in Spaceland was 80s themed, Rave in the Red Woods will be set in the 1990s at a summer lakeside camp. Call of Duty: Infinite Warfare DLC Map Packs released during 2017 (discount based on a Season Pass suggested retail price of $49.99, and four individual DLC Map Packs at a suggested retail price of $15 each). Season Pass owners will also receive 10 Rare Supply Drops upon purchase plus 1,000 bonus Salvage Credits to craft new prototype weapons. The content will be made available to Xbox One and PC players in the near future.